Blooming in June on new growth, individual flowers are borne on long showy racemes and open as a lovely shade of dark lavender before fading. 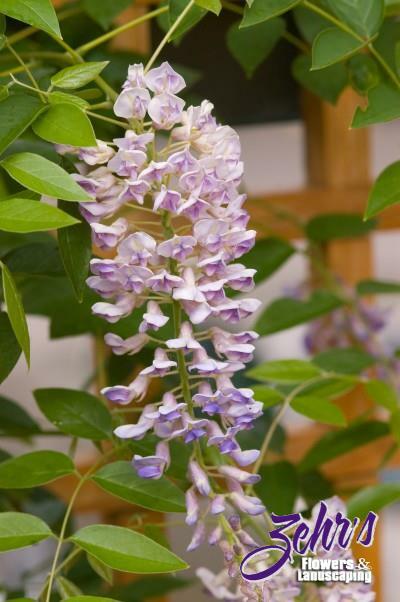 A beautiful flowering vine which can easily cover an arbor or pergola, creating a cool, shady place. Producing an interesting seed pod in late summer, this vine has lovely multi-season interests and is more reliably cold hardy than other wisteria.